When it’s time for Ramadan, restaurants and hotels celebrate by introducing offers and special deals. Enjoy a variety of cuisine; traditional Saudi Arabian, Lebanese, Egyptian, Indian, Asian and other global cuisines. 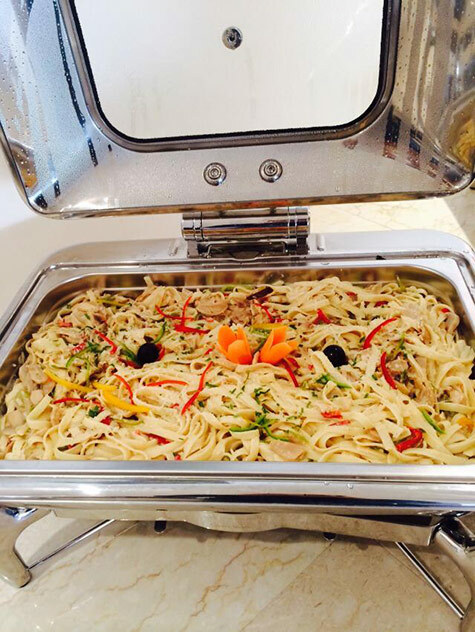 A special festive ambience is provided by the live cooking stations. Iftar: 350 S.R. for adults, 175 S.R. for children between ages 6-11 years. Suhoor: 325 S.R. for adults, 160 S.R. for children between ages 6-11 years. Corporate Iftars can be arranged, and a special play area for children is also available. Every year, the Prince Sultan Ground Hall is used as the accommodation for the festive Fawanees Ramadan tent! Enjoy at this celebratory atmosphere with your family and friends. Iftar: 350 S.R. per adult, 178 S.R. for children of ages 7-12. Children 6 and below get free entry. 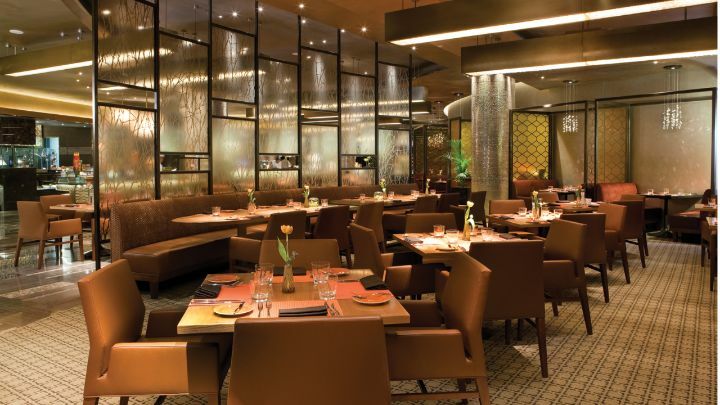 The restaurant in Crowne Plaza has great offers for those looking for them! Iftar Buffet: 215 S.R. per adult, 50% off for ages 6-12 and no charge for children under the age of 6. Timing: Sunset – Late evening. Cost: 375 S.R. for adults, 150 S.R. for kids of ages 5-12, no charge for kids under 5. The Iftar Buffet at Intercontinental Riyadh is great for you if you’re looking to try different cuisines. Apart from the traditional Arabic and Intercontinental cuisines, the Ramadan buffet includes various stations that offer you a taste of a different variety of cuisines. Cost: 295 S.R. for adults, 50% discount for kids of ages 6-12, free for kids under 5. 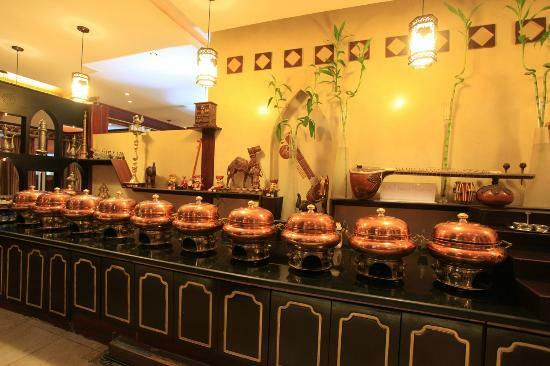 The speciality of Golden Tulip’s Iftar buffet is their menu that changes on a daily basis. 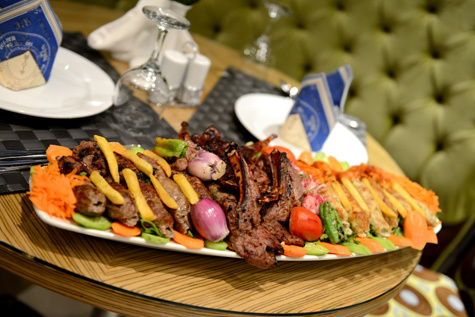 The items on the menu come from a variety of cuisines; Saudi Arabian, Egyptian, Lebanese, and others. Cost: 110 S.R. for adults, free for kids under 6 years. Radisson Blu’s Ramadan tent is a special treat in Ramadan for festivity lovers. The iftar buffet includes a variety of Arabic as well as international dishes, and live cooking stations for Shawarma, mixed grill, and ice cream are available. This special tent also offers activities for kids which include face painting, clowns and fun games. The cost for the first week is 145 S.R. Second week onwards, the cost is 165 S.R. Booking in advance is required in order to avoid last minute problems. Riyadh Palace Hotel’s restaurant combines traditional and international cuisines for the Iftar spread. The cost for each adult is 170 S.R with 50% discount for children of ages 6-12 and free entry for those under 6 years of age. 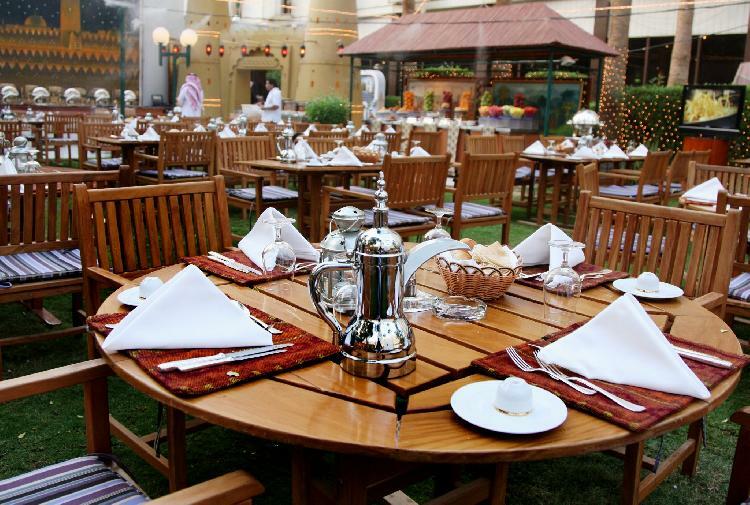 Sheraton Riyadh hotel has a great festive ambience at its Pool Garden iftar buffet. 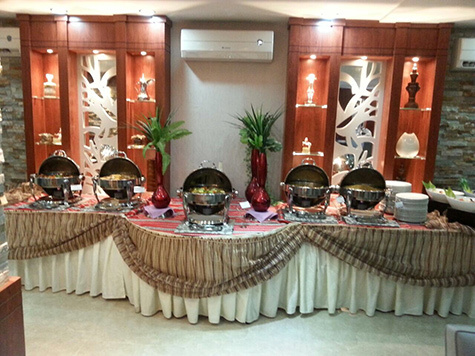 The buffet is a mix of Arabian and international cuisines which are displayed on live stations. Activities for children include a station for face painting, games and popcorn. The cost of the buffet on the first 5 days of Ramadan is 210 S.R., and during the rest of Ramadan it is 240 S.R. There entry for children under 4, and 50% discount for ages 4-8. Enjoy a variety of menu favourites along with traditional snacks like samosas at Outback Steakhouse. The cost per adult is 75 S.R. Pizza Fusion is known for its delicious mushroom soup, salads and mouth-watering pizza. Their Ramadan offer is 69 S.R. for two people. The meal for two includes two soups, salads, margherita pizzas and soft drinks. All items have offer different choices. If you’re a lover of Indian food, you should try out this offer that sounds delicious and does not cost much at all! The offer includes traditional Arabian snacks and Indian food. The Iftar menu at this Turkish restaurant includes soup, salad, dessert and other main course favourites. The cost is 110 S.R. per adult and 69 S.R. for children. The Iftar meal ends in time for the Isha prayer. The suhoor meal is for 65 S.R. per person and ends at fajr. An amazing sohour offer is up for grabs on coubon.com. The oriental and international dishes at Petal Hotel’s Suhour meal are complemented by the luxurious dining experience offered there. The restaurant is great for friends and family groups. The buffet costs 110 S.R, but a deal on coubon will save you S.R. 55. Enjoy favourites at Applebee’s along with appetizers, soups, and dessert! The cost for each adult is approximately 60 S.R. Enjoy a wide variety of international delicacies and high quality food at Best Western Orchid’s festive buffet. Cost: 120 S.R. for adults and no charge for children under the age of 5. Cobone.com is offering an amazing discount for this buffet, at only 59 S.R! 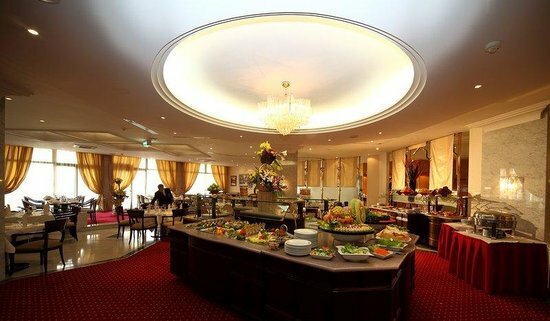 Enjoy a delicious international and continental Iftar at this Hotel. Cost: 130 S.R. per adult person. Get a great 51% discount deal at Cobone.com for this Iftar buffet. 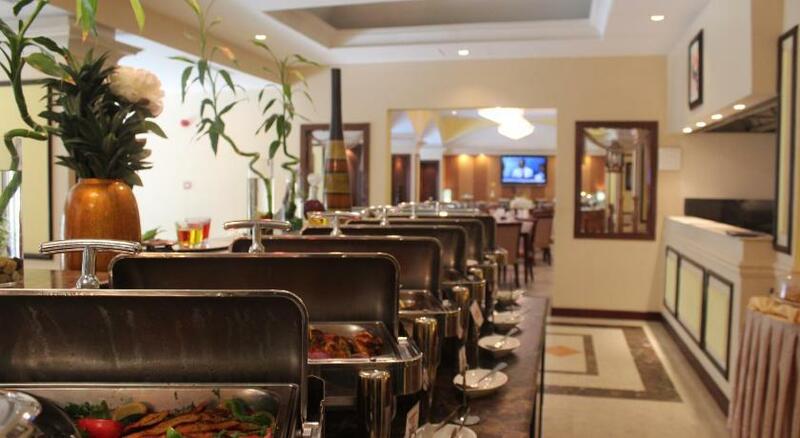 The Iftar buffet at this hotel presents international and oriental dishes. The atmosphere is perfect for singles, families, and children. Cost: 160 S.R. per adult, discount for ages 6-12, and no cost for kids under the age of 6. Cobone.com is offering a great deal for this Iftar buffet, at 79 S.R. per adult and 40 S.R. for kids aged 6-12! Enjoy a 7 course international and continental Iftar buffet at this newly opened hotel. The ambiance is excellent for families and children. Cost: 160 S.R. per adult and S.R. 80 for children of ages 6-12. No charge for children under 6. Cobone deals are available; 79 S.R. for adults and 40 S.R. for kids of ages 6-12. Celebrate Ramadan and enjoy a wide variety of international delicacies. The environment is great for families! Cost: 120 S.R. per adult. Cabone deal is available until July 8th; 59 S.R. per adult! They offer an open buffet for Iftar at 180 SR per adult and 40 SR per child (up to 12 years of age). They offer an Iftar buffet at 55 SR per person. The exquisite Iftat buffet is for 79 SR per adult person and 39 SR for kids from 5-12 years of age and is free of charge for kids younger than that. Zafran Indian bistro rubeen plaza , hitteen has an amazing Ramadan spread that has the best if Indian cuisine for you. At 99sar for adults and 50 for kids 5-12years old this years Ramadan will surely be special. Too costly for indian food. Lets not make ramadan a reason to raize prices.